Giada De Laurentiis will be the host of a new Food Network show called Winner Cake All which will premiere on Monday, January 7th at 10pm ET. The series will be 13 episodes long, and each episode will have four bakers challenged to make a cake for a $10,000 prize. There will be two challenges per episode, with the first being a decoration challenge and the second being a cake challenge. The contestants will be challenged to make themed cakes similar to what was done on Cupcake Wars. 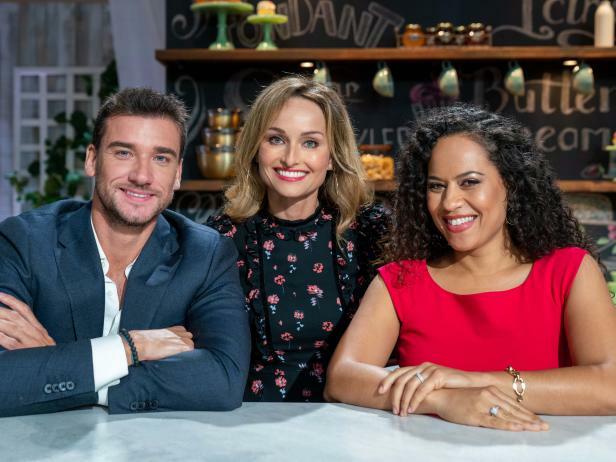 "Culinary icon Giada De Laurentiis kicks off the New Year with the competition series Winner Cake All, premiering Monday, January 7th at 10pm ET/PT on Food Network. Each episode features four of the best cake-baking tandems from around the country, as Giada challenges them to create epic cakes for their clientele's unforgettable celebrations, ranging from a cake honoring a member of the armed services coming home to a cake for the ultimate family party featuring America's favorite quintuplets, the Busbys, from TLC's OutDaughtered. Through 13 episodes the teams are put to the test over two rounds of baking, with a rotating panel of guest judges helping the clients determine which team captures their dream look and taste to prevail with the $10,000 grand prize! "As a culinary superstar, restaurateur and Food Network host, there isn't anything that Giada cannot do," said Courtney White, President, Food Network. "Whether it is making a cake for a baby shower or bringing a celebrity client's vision to life, these bakers must navigate pressure-filled challenges, while wowing Giada and the judges for the right to walk away with $10,000." Each episode features the baking teams competing in two rounds, including a Decoration Challenge where each team must create a unique cake topper based on the client's theme. The panel of judges then decide which team is the first to be eliminated. In the second round, the three remaining teams take part in the Cake Challenge, where Giada introduces the client's request for a sculpted cake for their celebration. Thematic episodes during the season include the creation of a game day party cake for former NFL player Rashad Jennings, Guy Fieri tasking the bakers with making a Guy's Grocery Games-themed cake, and Iron Chef Michael Symon challenging the bakers to make a cake for the opening of his new restaurant in Las Vegas. The STAKES are high but only one team will be victorious and celebrate with $10,000. Visit FoodNetwork.com/WinnerCakeAll for exclusive behind-the-scenes photos and insider videos with Giada and the celebrity clients. On Food Network's Instagram we are challenging Giada and the judges to a series of "Beat the Heat" games. Find out who can crack the most eggs in 30 seconds and who can stack and frost a cake the fastest! Join in on the conversation using #WinnerCakeAll."